When I first heard about this book, I was excited because it sounded like Star Trek for YA/MG readers (and we all know how much I love Star Trek)! 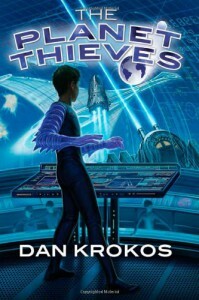 So when I finally got the chance to read The Planet Thieves, oh my gosh, I was ecstatic! I only got to read a small chunk in my first sitting, but I was already impressed. I’m pretty sure I was bouncing as I exclaimed with glee to my husband: “It’s like Star Trek! It’s so cool!” And the further I got into the book, the more I fell in love with it.Here are some of the many reasons that The Planet Thieves rocked:---(Ahem) It’s like Star Trek! They are traveling on a space ship and encounter alien beings and all kinds of mayhem ensues.---It has illustrations in it! Yes, I was very happily surprised to see some sketches interspersed throughout the book. There’s only a handful, but I found them to be great for helping me visualize some of the creatures and technologies in the book.---There is action and tension from beginning to end. I think it’s clear to me now that Dan Krokos is great at filling hist stories with intensity, and keeping me glued to the pages.---The main character was believable and interesting. 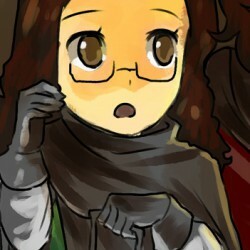 He had his idiot moments, but he also had some moments of wisdom and bravery that really spoke well for him.---The enemies were both terrifying and awesomely cool! I don’t want to spoil anything, so I won’t elaborate, but they were great!---All of the science fiction / technology elements really got me excited. It all felt so… real! So believable, even if some of the technologies were pretty fantastic. Just like Star Trek, they had me wishing this universe was real (well, some parts of it).---This did not read like a middle grade novel. Not that this isn’t accessible for young readers, because it totally is. What I’m trying to say is, don’t shy away from this just because it’s MG – it’s definitely enjoyable for adult readers!Though I did find some parts to be extremely predictable, that did not dampen my enjoyment of the book. I was thoroughly intrigued from beginning to end, and I really wish there had been more of it. I am now eagerly anticipating the sequel. This book has basically turned me from a Dan Krokos reader into a Dan Krokos fan!